Along my way to Livingston, TX I spent a couple of days camping at the small town of Lamesa, TX (Pop. 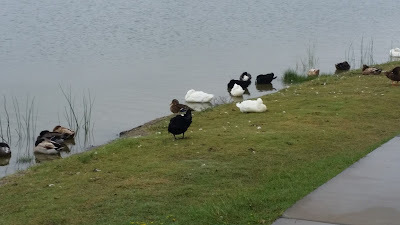 9461) near their excellent city park in their RV Parking Area. 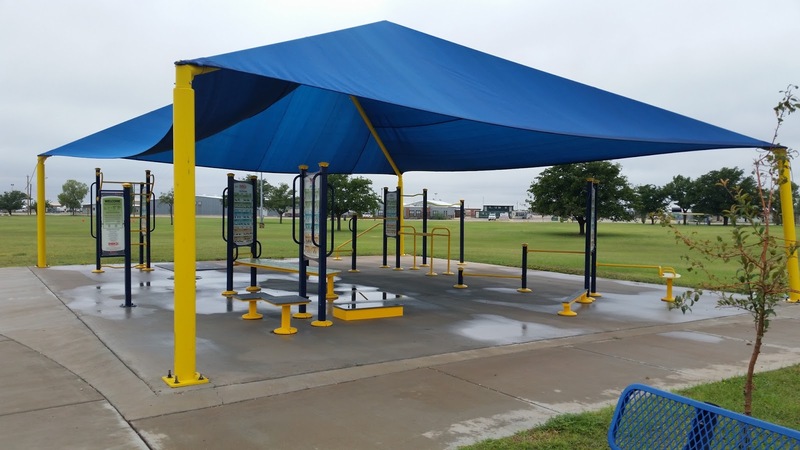 The area consists of eight wider than average parking spaces, each with a 30 amp pedestal and a city water hookup. When I pulled in there were two other campers there but they pulled out the next morning and I had the place to myself for the next couple days. 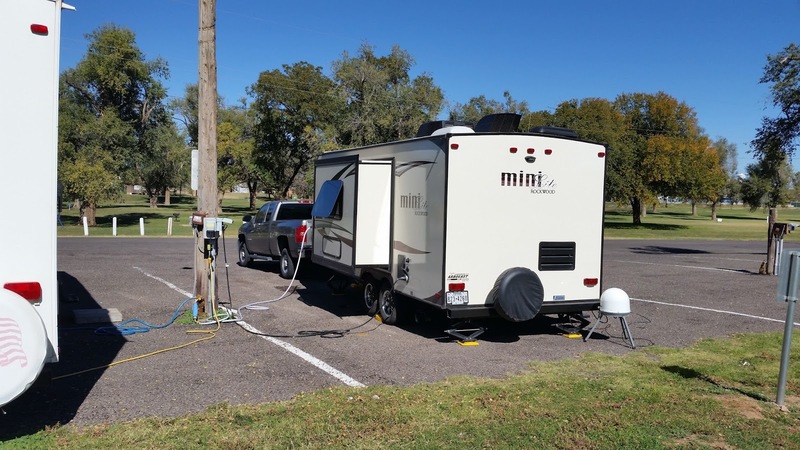 The Mini's space at the Lamesa RV Parking Area. 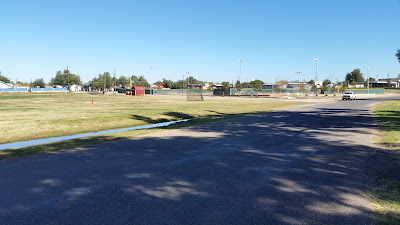 Lamesa is a quiet little town and the RV area is pretty quiet with the exception of a fairly busy main road that runs past it, but it quiets down after about 10 pm. 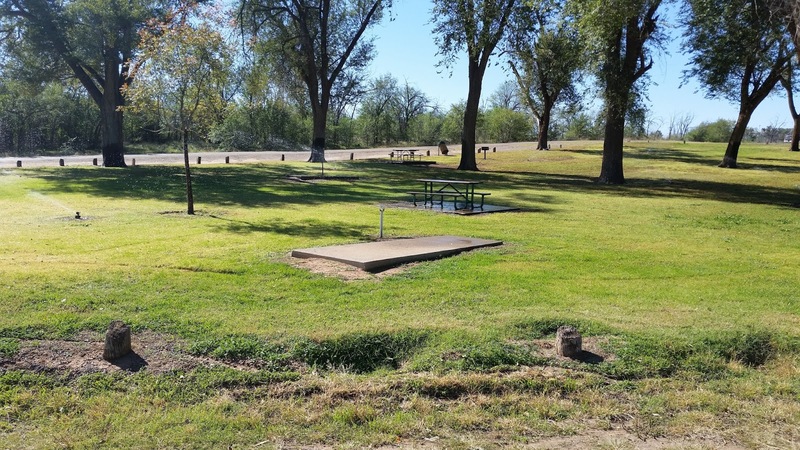 One of the park's features is an 18 hole Frisbee golf course that runs through it that is also free to play. One of the Frisbee golf course tees. A the opposite end of the park is a really nice ball field. 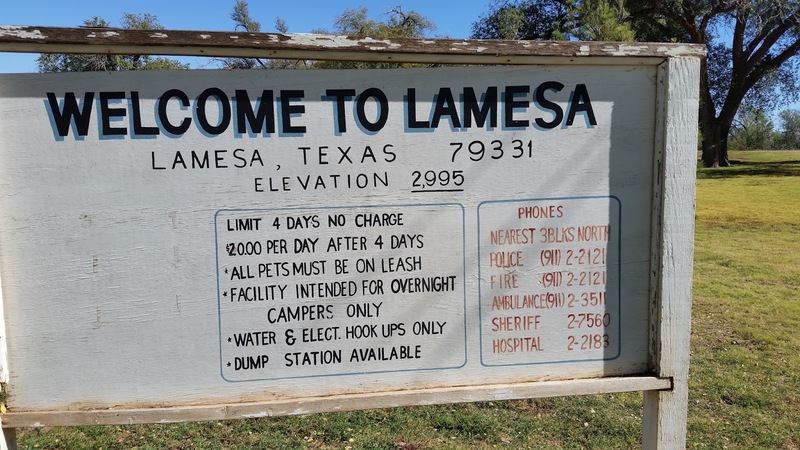 The Lamesa RV Parking Area is a great place to stop for a day or two on your way across Texas. 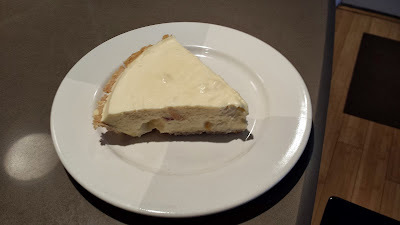 It's probably going to be a regular stop for me on my way to and from Livingston. Each November I travel back to my "home town" of Livingston, TX to get my state inspection for my truck and then it's state registration sticker ($85, ouch). 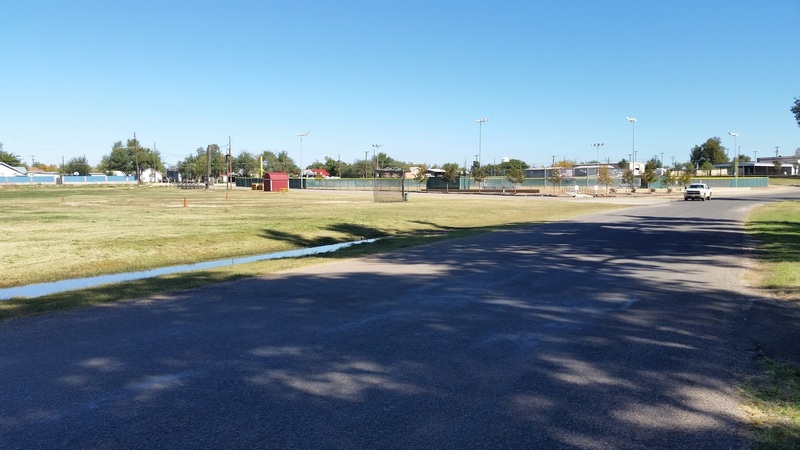 Typically I stay at the Escapee's RV park in Livingston for a week or so, then head up to Austin to celebrate Thanksgiving with my sister and her husband and my daughter, making the Austin trip the first leg on the move out to Arizona for the winter. That WAS the plan but when I hooked the Mini up to the power pedestal at the Escapee's park a sort of sizzling sound came from the 30 amp outlet with a slight smell of melting plastic. Even though I disconnected my power cable as quick as I could the damage was done, the Mini's GFCI (Ground Fault Circuit Interrupt) switch was thrown and would not reset, even when I relocated to a different campsite with a different power pedestal. A GFCI breaker prevents you from getting electrocuted if your hair dryer accidentally falls into your sink full of water. In 1/40th of a second the breaker detects the ground fault and interrupts the electricity going to the appliance so you are protected. 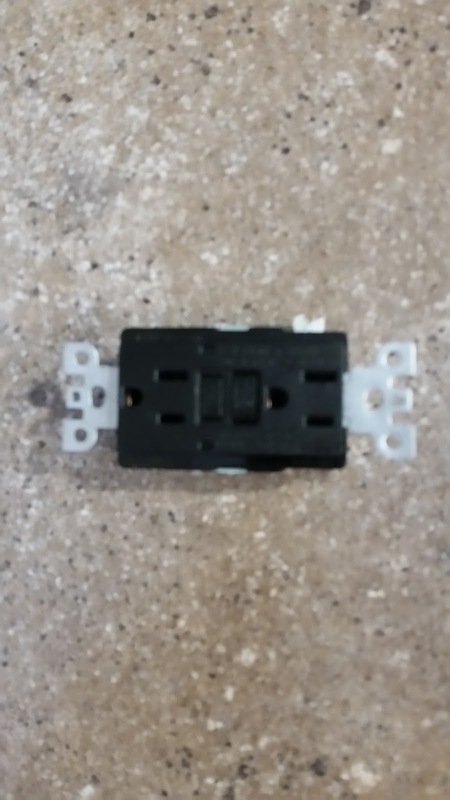 In the Mini, the breaker is located in the bathroom and then all the other six wall outlets are also wired into the GFCI circuit which means if the breaker in the bathroom won't reset, all the wall outlets don't work. 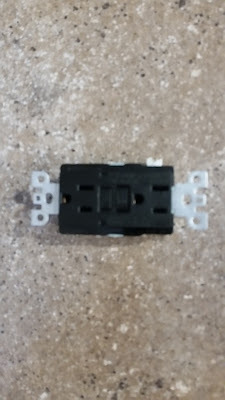 Since the Mini is still under warranty I didn't choose to replace the GFCI breaker myself for fear of voiding the warranty. After talking with several helpful Escapee's I found a RV service business in Livingston with a good reputation that does warranty work for the Mini's manufacturer (Forest River). The drawback? They are so busy they can't get me in until November 29th which means my plan to head west after the November 23rd Thanksgiving is off, I have to come back to Livingston for what will hopefully be a one day or less fix on the Mini. So that leads to the Gas Math referenced in the title to this post. 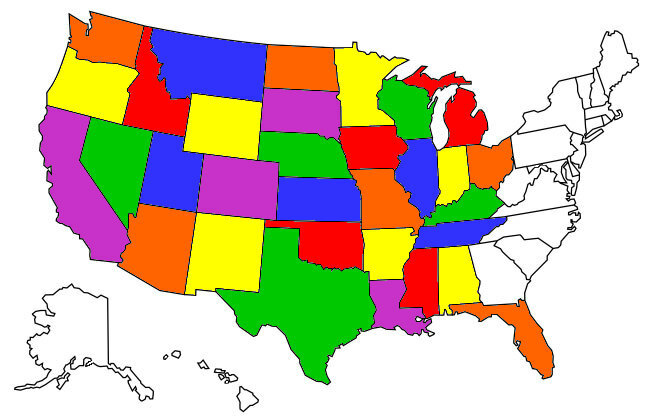 My sister's place in Austin is 201 miles from where I'm presently camped. The pickup gets about 10 MPG pulling the Mini so, effectively, getting my rig to Austin is a tank of gas or $50 in round figures. Getting the rig back to Livingston for the repair work costs the same tank of gas so round trip it's $100. The Escapee park I'm staying at costs about $18/night. If I leave the Mini in the RV park and just drive my 18 MPG (highway) truck to Austin for Thanksgiving I get there and back for 1 tank of gas or $50. 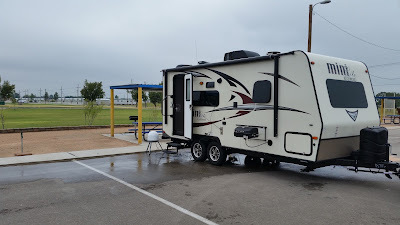 That $50 plus the $36 bucks for the Mini's solo RV park stay (Wednesday and Thursday nights) means I save $14 by leaving the Mini. Plus that's 400 miles less wear and tear on the Mini and a faster round trip because I never tow the Mini faster than 65 MPH regardless of the speed limit. Hope the Mini doesn't miss me! 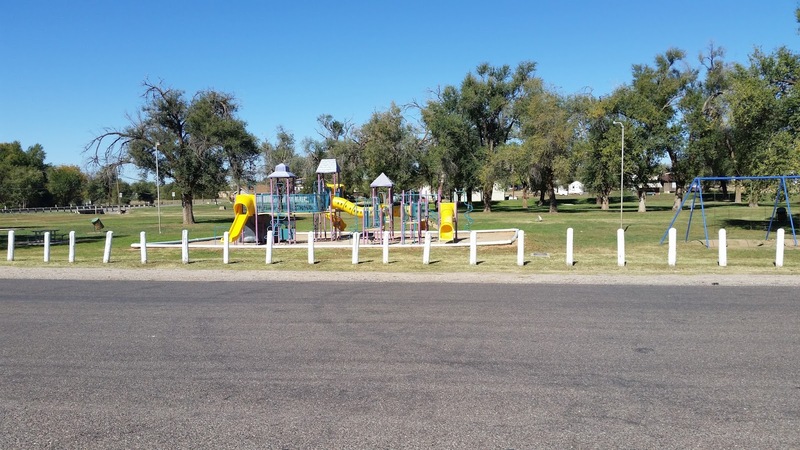 I recently ran across another campground that I almost hesitated to review because I wanted to keep it to myself, but I'd feel guilty so I'll review it anyway and let the cat out of the bag. 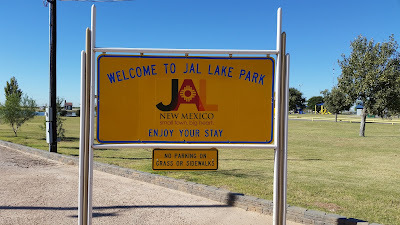 In the very southeast corner of New Mexico is the small town of Jal (Pop. 2121). 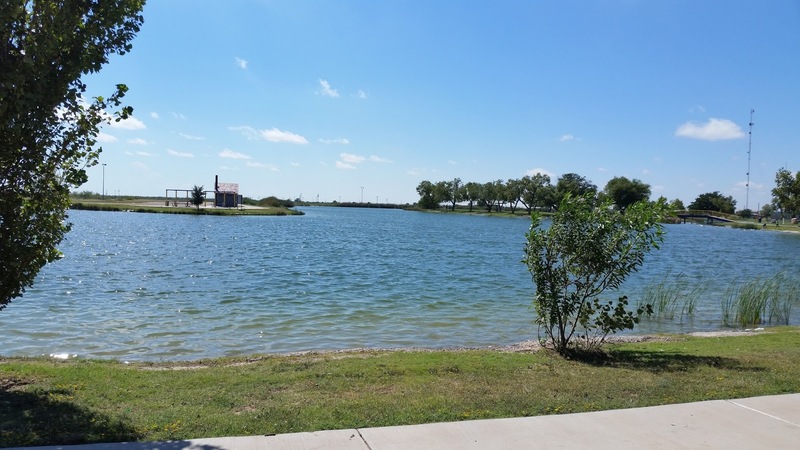 The town of Jal created a small man-made lake and built a really nice little park around it. According to the city web site the lake, when viewed from the air, actually spells out the town's name! I guess the small island in the middle of the lake contributes the "a" in Jal to overhead viewers. The small island in the center of Jal Lake that is accessed via a bridge. 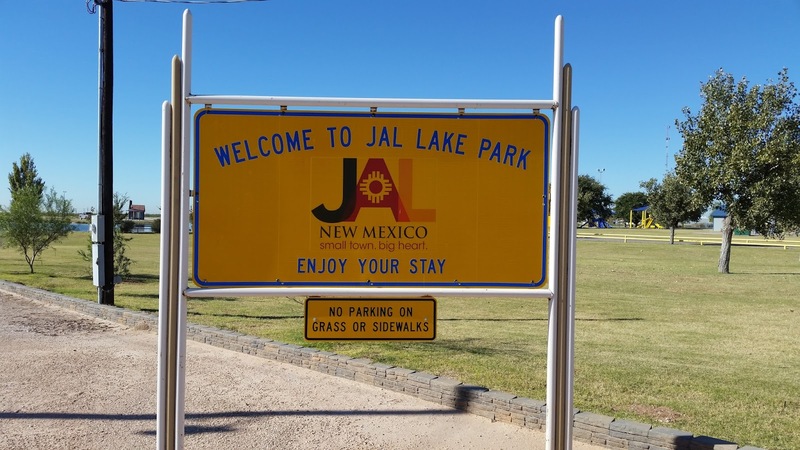 Jal Lake Park's RV area is a paved parking lot on the north edge of the park with six very spacious campsites. The Mini's site included a covered picnic table and grill. The park has a couple really nice features, one is a walking sidewalk that goes all the way around the lake. If you're a walking nut like me who gets their "steps" in every day it's really useful, and a huge improvement compared to walking in the street. A lap equaled 3/4's of a mile. There's a covered workout area with various body weight resistance stations. The covered exercise area. I'd do a lap then one exercise station then a lap. 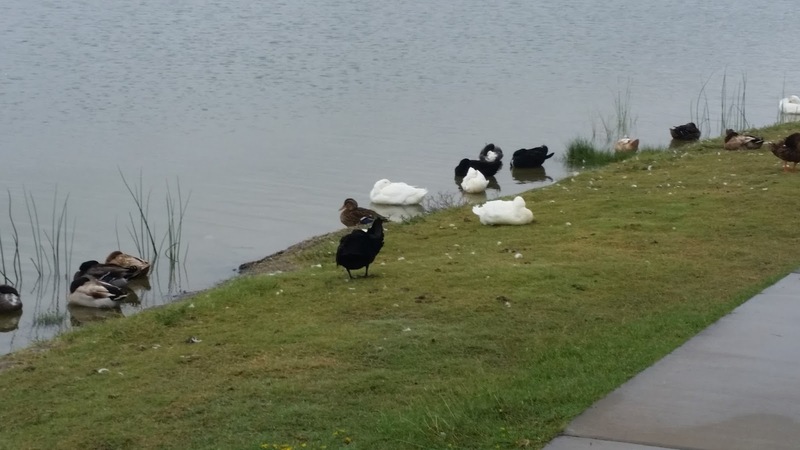 There's a large flock of ducks that calls the park home and they're almost tame, they sleep by the walking path and seldom even move when you walk by. 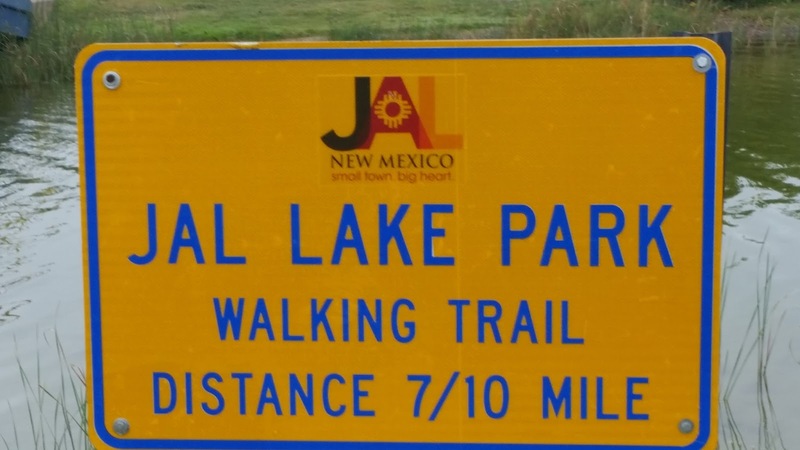 Jal Lake Park is a little gem of a free campground, even if you can only stay three days. I'm in Texas now but on my way out to Arizona after Thanksgiving you can bet I'll spend a couple days in Jal before continuing on my way. It's always great to get back in the Lonestar State! 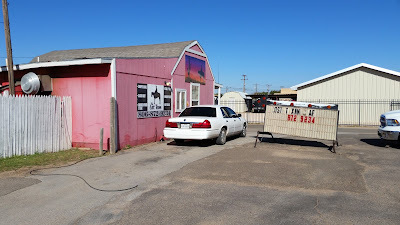 As I usually do when I get to a new town for the first time, in this case Lamesa, TX, I checked Yelp for positive restaurant reviews and found a sort of "hole in the wall" spot called The Lost Texan Cafe. 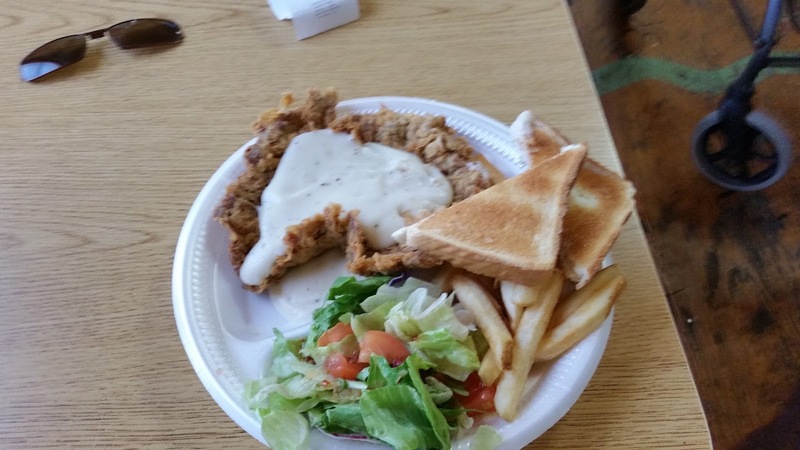 The Chicken Fried Steak Plate! Served with fries, salad and toast, the Chicken Fried Steak might not have quite lived up to the extravagant Yelp reviews but it was very good. The home made gravy was especially good' I'd come back.